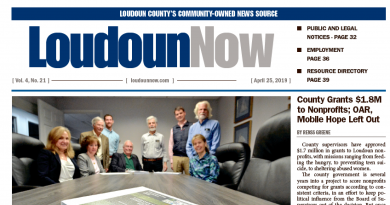 Loudoun-based All Points Broadband, the hybrid fiber wireless internet service, has expanded into Clarke County. “We’ll be deploying a brand new network with state-of-the-art equipment to serve the many residents and businesses who’ve been contacting All Points asking us to expand into this area,” All Points CEO Jimmy Carr said. Depending on the customer’s location, residential subscribers will be able to provide speeds of up to 15 megabits per second on plans with no data cap and commercial subscribers will have access to gigabyte service. The company is working to provide reliable broadband internet service to underserved area and is teaming with governments, community organizations, and ISPs seeking additional capital to accomplish that goal. Learn more at allpointsbroadband.com.